An Iranian airline says it is in negotiations with Boeing for the purchase of 20 passenger planes even as US President Donald Trump's threats to kill a nuclear deal this month have put Iran's aviation contracts in doubt. 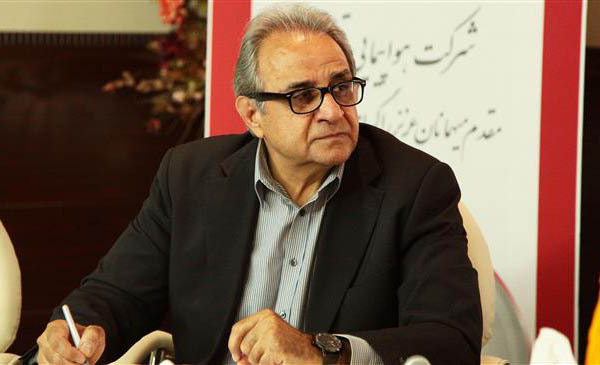 Qeshm Air CEO Mahmoud Shekarabi was quoted as saying that his company planned to buy 10 Boeing 737 MAX and 10 Boeing 737 Next Generation planes from the American planemaker. "Memoranda of understanding have been signed in this regard," he said on the sidelines of the opening of national flag carrier Iran Air's Catering in Tehran on Monday, Tasnim news agency reported. Qeshm Air is also negotiating an order for 15 Airbus A320 and A319 jets from the European manufacturer and another 10 planes from Canada's Bombardier, he said. "These negotiations are underway, but there are a number of problems," Shekarabi said without elaboration. The company may also consider buying Sukhoi Superjet 100s from Russia but "we do not currently have any plans for it," he added. Last week, two other Iranian airlines said they had signed deals for the purchase of 40 short-haul passenger aircraft from the Russian company. The purchases were made by Aseman Airlines and Iran Air Tours and the related documents were signed on the sidelines of Eurasia Airshow 2018 in Turkey's Anatolia. Aseman signed a final deal last June to buy 30 Boeing 737 MAX jets in Iran's first new business with the US planemaker since Trump took office vowing to take a tougher stance toward the country. Iranian domestic carrier Zagros Airlines also signed a memorandum of understanding (MoU) to buy 20 Airbus A320neo jets and eight A330neo aircraft, while privatized Iran Airtour signed an MoU for 45 A320neos. The biggest orders, however, were made by Iran Air which has agreed to buy 80 aircraft from Boeing and 100 from Airbus in addition to 20 from Franco-Italian ATR company. The deals were made possible after US-led sanctions against Iran were lifted in early 2016 under a nuclear agreement between the Islamic Republic and other countries. Last year, Iran Air received three brand-new Airbus jets and eight new ATR turboprops. According to an official, Iran should receive 14 new passenger aircraft this year from Airbus, Boeing and ATR planemakers. However, there are questions of what would happen to the deals if Trump went ahead with his threat to withdrew the US from the nuclear agreement on May 12 and whether the US Treasury would extend licenses for sales of the parts which are built in the United States.